It was 1998, almost a decade after the fall of communism, and the country was flying in the aftermath of Sachs' market reforms. Deregulation and privatization made Poland's economy one of Europe's fastest growing. Poland now has the fourth-highest number of higher education students in Europe, behind the U.K., Germany and France. By 2012, the time the OECD conducted its survey, Poland was one of the best teaching countries on earth. Besides Poland is a fascinating country that serves as the geographical and cultural crossroads of Eastern and Western Europe. Located at the center of the Northern European plain, Poland has been a nation of survivors since the foundation of the first Polish state more than 1000 years ago. Through its turbulent history its people have managed to maintain their identity, and today, the country enjoys a crucial position as the largest of the former Eastern European states and one of the most populous members of the European Union. For students from outside the European Union who come to study in Poland, this may well be the beginning of a fascinating adventure of discovering Europe. Being invited to study in Poland means that you are invited to the European Union, of which Poland is an active member state. We encourage you to discover the European Union, which offers not only varied and interesting cultures and the opportunities associated with strong, innovative economies, but it also provides the very best conditions for successful higher education study in a challenging and friendly atmosphere. With top-quality, internationally recognized degrees, almost no other region in the world can set your career off to such a promising start. 1.Rich History and Tradition: Polish university education system has a history of 650 years of educating high profile professionals. It resulted with a profit not only for Poland, but also for many countries all over the world, where the Poles brought their professionalism and the spirit of innovation. Want some examples? Ignacy Domeyko established the geology research in 19th century Chile. Between 1872 and 1876 Ernest Malinowski built the world's highest located railroad in Peru. Bronisław Malinowski was a creator of modern anthropology. Ten Nobel Prizes were awarded to Polish artists, scientists and other public figures. Maria Skłodowska-Curie is one of only four laureates to receive a prize twice. 2. Modernity: Today, the Polish higher education system is developing rapidly. Poland holds fourth place in Europe (after the United Kingdom, Germany and France) in terms of the number of people enrolled in higher education. The total student population at over 400 university level schools is almost 1,5 million. Each year almost half a million young people begin their education at universities and colleges. Most schools offer courses in foreign languages. 3. Bologna Process: Poland plays an active part in the Bologna Process. Owing to the introduction of three-stage education modelled on Bachelor/Master/Doctoral studies as well as the European Credit Transfer System, both Polish students and foreigners studying in Poland stay fully mobile and can continue their education elsewhere in the European Union. Within just the Erasmus Program that has been going on for over 20 years now, over 43,000 foreign students have come to study in Poland while almost 100,000 students from Poland have taken part of their education in another country within the European Union. Foreign students coming to Poland can expect the most attractive and diversified education opportunities meeting high European standards. They can study medicine, biotechnology or engineering, but also art and business. The diploma awarded to them upon graduation is recognized not only Europe-wide but also in key countries of the world. 4. High Quality of Education: The Polish higher education system is well developed. The quality of the education provided is monitored and regularly evaluated. The main Polish institutions in charge of quality assurance in higher education are: the Polish Accreditation Committee, the General Council for Science and Higher Education and the Conference of Rectors of the Academic Schools in Poland. There are over 5000 courses available in Poland and each of them has had to gain the Polish Accreditation Committee’s approval. Among them there are a number of fields of study that have received the grade: excellent. The list of excellent fields of study is available at the Polish Accreditation Committee website: http://www.pka.edu.pl/?q=en/oceny. 5. Competitive Costs of Living and Studying: Compared to other EU countries, the tuition fees in Poland are highly competitive and the costs of living are a fraction of what a foreign student would have to spend in other European cities. 6. Academic Courses: The Poland education system offers innumerable courses, out of which you can choose course of your interest and stream accordingly. 8. Affordable: Undergraduate and postgraduate courses offered in Poland are generally much shorter than other, which results in lesser tuition fees and living costs. 9. Business language: As a non-native speaker, you have an opportunity to improve your language skills while working and studying in Poland. 10. Multi-Cultural Society: Studying in Poland is an opportunity to experience a multicultural environment, meet new people and fellow international students from across the world and discover new places that will develop a range of skills in you which is necessary to be part of today's global workforce. ENIC– European Network of National Information Centres for Academic Recognition and Mobility established by the Council of Europe and UNESCO for the European Region. NARIC– National Academic Recognition and Recognition Centres is a network set up by the European Commission in order to establish effective and close cooperation between EU member states in terms of academic recognition and they support the system for professional recognition. The first university in Poland, Kraków's Jagiellonian University, was established in 1364 by Casimir III the Great in Kraków. It is the oldest university in Poland. It is the second oldest university in Central Europe (after Prague University) and one of the oldest universities in the world. Casimir III realized that the nation needed a class of educated people, especially lawyers, who could codify the country's laws and administer the courts and offices. His efforts to found an institution of higher learning in Poland were finally rewarded when Pope Urban V granted him permission to open the University of Kraków. A large part of the Polish higher education market is made up of private colleges and universities. There are about 310 privately owned universities and colleges and 138 state schools of higher learning. This has resulted in a high level of competition that has given Poland lower prices for studying than in many other European countries. The higher education system is one of high quality and all leading universities offer programmes thought in English, within study areas such as medicine, engineering, humanities, business and finance. More than 100 higher education institution in Poland currently offer study programmes in English. Poland has taken active part in the Bologna Process. The ECTS (European Credit Transfer System) allows students to be geographically mobile and continue their education in other countries. There is no central administration for admission. Instead, each institute is responsible for their own admission process. However, each applicant must generally hold a “maturity certificate” to qualify for admission in Poland. The grading is done every semester (twice a year), not just once in a school year. Depending on the subject, the final grade may be based on the result of a single exam, or on the student's performance during the whole semester. In the latter case, usually a point system, not the 2–5 scale is used. The points accumulated during the semester are added and converted to a final grade according to some scale. As a failing grade means merely having to repeat the failed subject, and can usually be corrected on a retake exam (and in some cases also on a special "committee exam"), it is used much more liberally, and it is quite common for a significant number of students to fail a class on the first attempt. 1st CYCLE- First-cycle studies (3 to 4 years) leading to the professional title of a licencjat or inżynier (Engineer, in the field of engineering, agriculture or economics). This is the Polish equivalent of the Bachelor’s degree. It is focused on preparing students for future employment or for continued education within a Master’s degree programme. To obtain this degree, students must earn 180-240 ECTS credits. 2nd CYCLE- Second-cycle studies – Master’s degree programme (1.5 to 2 years) following the first cycle studies and leading to the professional title of Master (magister, or an equivalent degree depending on the course profile). It is focused on theoretical knowledge as well as the application and development of creative skills. In arts disciplines, the focus is on the development of creativity and talents. Master’s degree holders may enter a doctoral programme (third-cycle studies). To obtain the degree, students must earn 90-120 ECTS credits. LONG-CYCYLE STUDIES- In addition to the general structure, 11 fields of study including acting, art conservation and restoration, canon law, dentistry, law, medical analysis, medicine, production and photography, pharmacy, psychology and veterinary medicine, offer long-cycle programmes only. Long-cycle studies – Master’s degree programme (4.5 to 6 years) leading to the professional title of Master (magister), or an equivalent degree depending on the course profile). To obtain this degree, students must earn 270-360 ECTS credits. Such single long-cycle studies are based on an integrated study programme containing both basic studies and in-depth specialisation. Completion of this degree will provide a qualification corresponding to a second-cycle Master’s degree. 3rd CYCLE- Third-cycle studies – Doctoral degree programmes (normally 3 to 4 years) accessible for graduates of a Master’s degree programme, leading to a PhD degree, offered by universities as well as some research institutions (departments of the Polish Academy of Sciences as well as research and development institutions). A PhD degree is awarded to candidates who submit and successfully defend a doctoral dissertation before a thesis committee and pass a doctoral examination. To obtain a temporary residence permit, you should provide documented reasons for your living in Poland. Taking up a job or education in Poland. Warszawa (Warsaw) the capital of Poland with over 1.7 million inhabitants. It is a business city, to which many Poles migrate searching for education and job opportunities. Thanks to its 50 plus higher education institutions, it has a vibrant spirit and constitutes an important scientific and cultural centre. The city was almost completely destroyed during World War II. Its present architectural landscape has largely been shaped by the years of communism (symbolized by the Palace of Science and Culture) and its entrepreneurial character (skyscrapers). 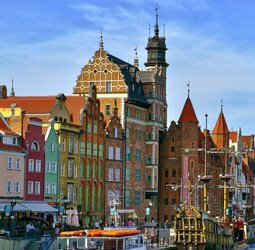 There are many different options for arranging student accommodation in Poland. They vary depending on the city and higher education institution you choose. Many Polish HEIs have their own dormitories, which are usually the cheapest option available. However, most Polish students prefer to rent a room in a private apartment. Student houses and dormitories The pricing of the student houses depends on the particular HEI. Usually the cost of accommodation in a dormitory ranges is around EUR 60-80 monthly for a shared room and between EUR 100-150 for a single room. However, the standard of the dormitories may differ greatly even between various student houses of the same HEI, so it’s good to do some research before the final decision. What doesn’t differ is the friendly and helpful atmosphere in the student houses. Private housing It is quite common in Poland to rent a room in a bigger apartment. Most of the out-of-town students share flats in this way. The cost varies between cities and it depends greatly on the location of the apartment as well as the size and quality of the room. The monthly rent is usually between EUR 150 and 200. Some landlords may require a deposit of a similar amount. Don’t worry if you don’t have friends to live with. Sharing a flat with locals is an amazing opportunity: you can pay for the accommodation and get great friends for free! And if you really don’t like to share, you can find an independent apartment. The rent for the smallest, one-room apartment starts from about EUR 300 (in Warsaw). We will be happy to help you in getting your student visa. Thanks to our experience and good contacts with Polish embassies and consulates around the world, we can assist you with the process of acquiring a visa. It takes from 2 weeks to a month to obtain a Polish visa. In other words, you need to start collecting all the necessary documents for the visa application at least two months prior to your planned departure. 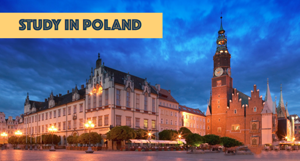 Once all the formalities have been finalized, we will invite you to our pre-travel training, during which you will receive all the necessary information on studying and living in Poland. 1. Accommodation- There are many different options for arranging student accommodation in Poland. They vary depending on the city and higher education institution you choose. Many Polish HEIs have their own dormitories, which are usually the cheapest option available. However, most Polish students prefer to rent a room in a private apartment. 2. Job Prospects and work permit- The booming IT-industry in Poland creates a great incentive for those that are in a need for change. Therefore, it’s recommend you equip yourself by the best advice so have a look at the following job sectors to boost your career and unleash your success. 3. Health insurance- If possible it is recommended that students from non-EU/EEA countries purchase their own international medical insurance prior to their arrival in Poland. Otherwise they are required to sign a voluntary health insurance agreement with the National Health Fund (Narodowy Fundusz Zdrowia – NFZ) and pay their own insurance fees, which amount to about EUR 15 a month. Under this insurance scheme, students are entitled to free medical care and can use university health care clinics and health centres. Also, all foreign students have the option of purchasing additional accident insurance. For detailed information visit the website of the National Health Fund. 4. Cost of living in Poland- In comparison to other European countries Poland is a relatively cheap place to live and study. Prices depend greatly on the city, but a student can get by with about EUR 300 at their monthly disposal. Average costs of student living range from EUR 350 up to EUR 550. Please remember, that to be able to study in Poland non-EU/EEA students have to possess sufficient means to cover the living costs. 5. Transportation Facilities- Simply put, transportation is Poland is fantastic. There are no words for how every part is so well connected with each other. If you are planning to live and work in one of the cities, there will be no need for a car. Public transport is relatively cheap compared to western public transportation and the app Jakdojade makes it nearly impossible to get lost. 7. Climate- Poland has a moderate climate with both maritime and continental elements. You can count on many sunny days and many rainy days and don’t be surprised when the summer turns out to be quite hot or quite rainy. Winters are usually cold, with temperatures well below freezing, and more or less snowy. If you come from a warmer climate, make sure you have proper clothing.